There is a huge market for car security systems, and reflecting that market, there are a huge variety of products available. For example, most modern cars come with alarms as a basic feature, and there are several newer, more advanced developments coming out of the car market, including GPS systems that can help the police track your car after its been stolen. As with all security systems, the car security market is always in constant competition with its opposition – that is, car thieves. This has both positive and negative implications, both of which will be discussed here, along with the available security devices for cars. When we talk about car security systems, the most common topic that comes up is how and whether they are effective against thieves. There is no one, clear answer to that question, because people who steal cars possess a varied amount of skill and boldness. The way that car security systems help against thieves is often in appearance more than actuality. For example, most car thieves can disable car alarms with relative ease. However, if your car has a security light or some other notification that you have a car alarm, it is much less likely to be stolen. The reason for this is that most potential car thieves don’t want to take the risk of being caught, or even to have to bother with disabling an alarm, which, even if it takes only a few seconds, can drastically increase the risk of being caught. Besides that, different alarms come in different places, and a less experienced thief might have a harder time finding it. Because people don’t want to go through all of this potential hassle, they’ll skip over a car with an alarm in favor of an older car that is less likely to have a good security system. This is also why luxury cars are actually stolen less often than more streamlined sedans. This principle doesn’t just apply to car alarms. Any visible security device drastically reduces the likelihood of your car being stolen. However, different security devices do different things, so it is important to weigh the options to know both what is the best deterrent and what is the most effective tool in term of actually foiling a theft attempt. Whether it’s an alarm, a steering wheel lock, or a GPS system, it’s important to know the pros and cons of each device. Steering wheel locks and other bulky, easily visible security devices are probably the least effective, both as deterrents and at foiling theft attempts. A rarely known fact is that most car thieves are professionals, not first-timers. This means that most thieves have some idea what they’re doing. A manual device like a lock is a minor obstacle because it is easy to disable (the thief knows exactly what and where it is) and it does nothing to alert you or passersby that your car is being stolen. In other words, they aren’t good at deterring or exposing thieves. GPS systems, on the other hand aren’t meant to deter, but to catch car thieves. If you alert a thief to its presence, it’s a pretty simple matter to find and disable. Also, since most cars are stolen for parts, they can usually just find it in the process if they’re looking for it in a rush. GPS systems are usually most effective when they’re used as secondary systems. If a thief sees and disables an alarm, he usually won’t look any further for an additional system. This will help your GPS system go undetected until you can file a report, and help you find your car fairly quickly. 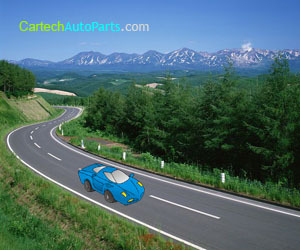 In essence, the best thing to do is to have a GPS and one additional system if you’re serious about protecting you car.